January 24, 2019 11:03 am. Can Te Akau Racing make it a hat-trick of Karaka Millions? Probabeely. Te Akau will have a five-strong hand in the $1 million two-year-old race for New Zealand Bloodstock Yearling Sales graduates, which the stable has won the past two years through Melody Belle and Avantage. “We’ve got some pretty exciting horses but we’ve drawn barriers 12, 13 and 14, so the three outside barriers which won’t help, that’s for sure,” Te Akau Principal David Ellis said. “But we’re in it to win. It’s a race that looks to have a lot of speed so getting back might not be such a bad thing. It’s a race where I’ve seen so many unlucky horses over the years and I don’t think the barrier draw matters as much in this race as it sometimes does. Savabeel filly Probabeel closed as the futures market favourite at $2.60 but drifted significantly to $3.70 after she drew the outside barrier and arch-rival Whiskey Neat came up with barrier two to take over as a $2.70 favourite for Cambridge trainer Tony Pike. 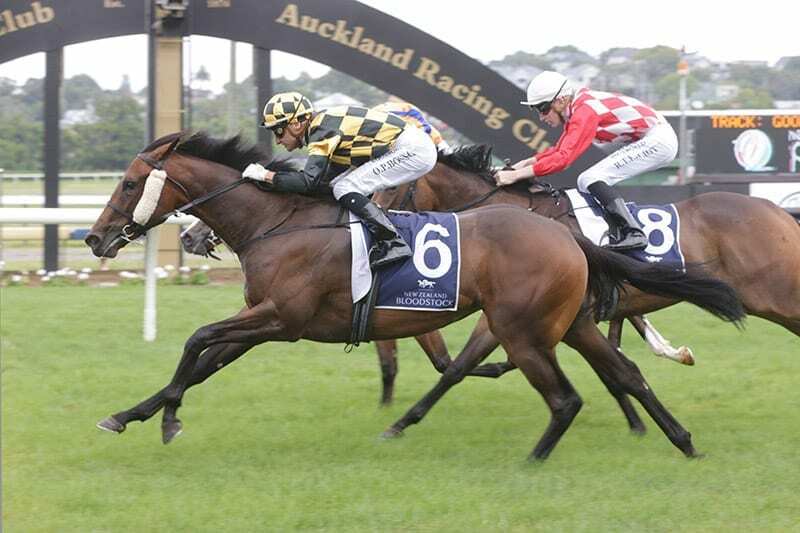 Aotea Lad, second to Whiskey Neat in the Group 3 Eclipse Stakes (1200m) at Ellerslie on New Year’s Day, is the $7 third favourite with the online bookmakers, while Te Akau runners Louis Luck and Yourdeel share $12 fourth favouritism, with Te Akau’s final runner Challa a $91 outsider. This is the second straight Karaka Million in which Te Akau will have five runners, with Avantage and Al Hasa filling the quinella positions last year. Melody Belle was the stable’s sole representative in 2017. “[Karaka Million success] is a huge help in getting people interested in being involved in the horses we buy at the sales,” Ellis said. “We’re pretty particular about what we buy. We don’t buy horses that are only going to make two-year-olds. All our two-year-olds train on. We’ve had six champion two-year-olds and they’ve all gone on to be good three and four-year-olds. “Melody Belle is a classic example. She’ll probably have her best year as a five-year-old next season. Avantage is the current champion two-year-old and she’s won her only start at three and is coming up really well. We’re looking to take her to Australia. Ellis was upbeat about the upcoming yearling sales which begin at 3pm on Sunday. “I don’t think it’s any secret that from August 1 our stakes money in New Zealand will dramatically improve, so now is a really good time to invest,” he said.